-Melt 4TB butter in a skillet, saute the onion and green peppers for 5 min. -Add beef, s&p, and cook on high heat for 3 minutes. -Remove from heat for 5 min, then mix in eggs. -In casserole dish, spread 1 cup corn, layer with half the meat mixture, then half the tomatoes. -Repeat layers of corn, meat, tomatoes. -Cover with bread crumbs and dot with 2 TB butter. 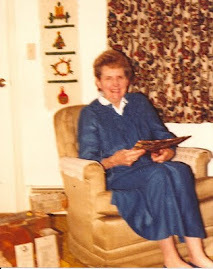 Just recently I came across the same recipe handwritten in an old cookbook vintage 1960's. 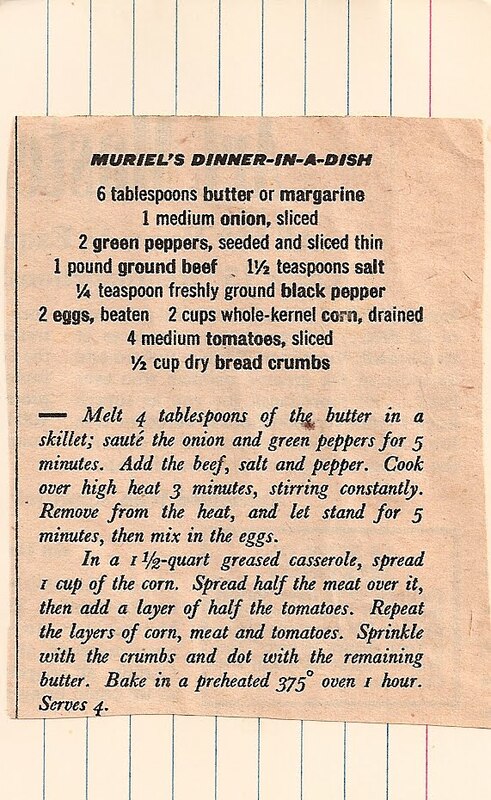 I seem to remember that Muriel is Muriel Humphrey, wife of Hubert Humphrey, wife of the former Vice-President and that this recipe was published in Parade magazine. Your recipe matches mine exactly--I plan to test it later this week and let you know the results!